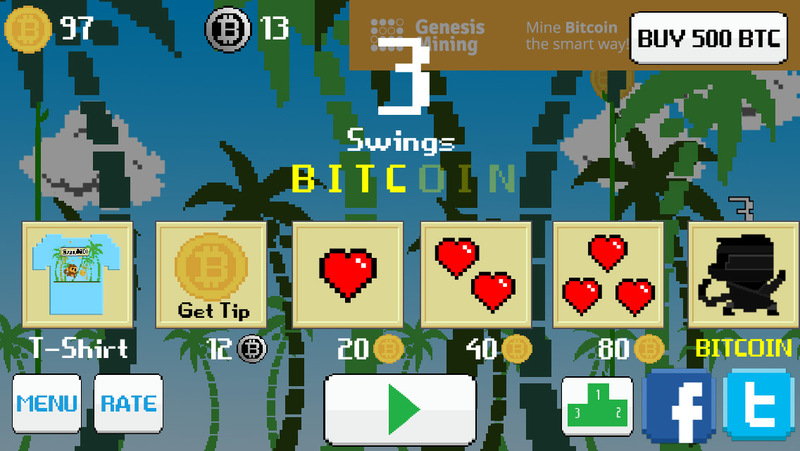 MandelDuck, the developer of the free game SaruTobi that awards player with real Bitcoins for playing, has released a new game with Bitcoin Tipping feature called Game of Birds. 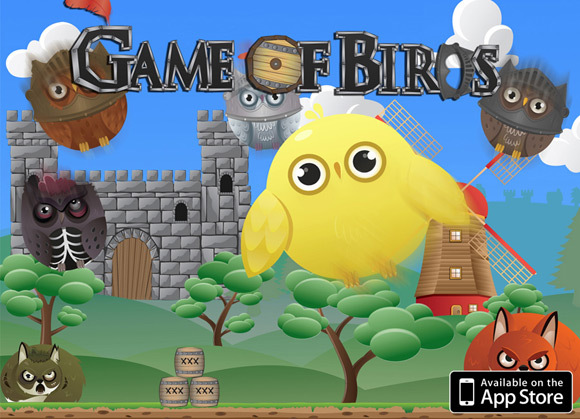 This is kind of a parody mimicking the Game of Thrones franchise in its name, but the game actually does not have anything to do with the popular TV series, nor it is just another Flappy Birds clone. It is actually a fund and engaging game that requires some logic thinking and some experimenting until you reach the best way to free a trapped little chick from the bad owls that surround it. To free the little chick and let it fly away free you need to use different kind of bombs to get rid of the bad owls, but beware there are some more bad things around you – hungry Foxes, Zombie viruses and deadly Wild Fires. Then there are also some Bitcoins that you can spot scattered among the levels, collecting these award you with real Bitcoin tips that are currently in the form of 100 bits or 10000 satoshi per tip. The previous game SaruTobi relies on the Xapo online Bitcoin wallet, so you have to enter your email address that is also the username for your wallet to get the Bitcoin tips. In their new game called Game of Birds the developers apparently decided to go for an alternative, s o they are using the Coinbase online Bitcoin wallet instead. In order to be able to receive Bitcoin tips while playing the game you will have to enter your Coinbase username which is also the email address that you used to register at the service. In order to get your Bitcoin tip or 100 bits (10000 satoshi) while playing the game all you have to do is destroy a Bitcoin coin that you see in the level you are playing. The new Game of Birds game is only available for iOS devices, just like SaruTobi, as MandelDuck is developing games for the Apple mobile platform, so unfortunately Android owners will not be able to check the game out. Do note that it requires iOS 8.1 or later and is compatible with iPhone, iPad, and iPod touch, but is optimized for iPhone 5, iPhone 6, and iPhone 6 Plus. A word of warning, the game can be addictive, so be careful as you progress through the different levels the difficulty also increases. So just have fun playing and enjoy the real Bitcoin tips you can earn while you have fun playing the game. The iOS game SaruTobi that has recently been taken down from Apple’s App Store is now available again. Previously the game used in-game Bitcoins and Black Coins that had no real connection to their actual counterparts, but that was apparently a concern for Apple to take the game down temporary. So no the previously available in-game Bitcoins are replaced with Bananas (available in the game and as an in-game purchase option) and the Black Coins are now Bitcoins and the game is now back online on the App Store. 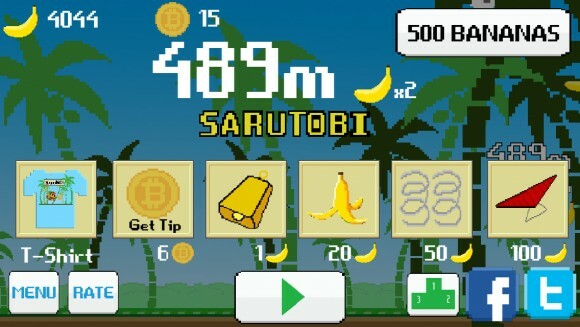 The best thing about SaruTobi is that it awards players with tips in actual Bitcoins, you need to collect 12 in-game Bitcoins and you can request a tip that will be sent to you. The amount of each BTC tip can vary, but is currently in between 50 and 100 bits or 5000 and 1000 satoshi. So if you still have not tried the game you might give it a go, it is a fun thing to spend your idle time playing for a while and you may actually get a BTC reward for doing so. It seems that the iOS game that rewards players with Bitcoin Tips, SaruTobi, has been taken down from Apple’s App Store temporary. The reason given according to the game’s developer is the fact that players may be confused that the Bitcoins they can buy in-game might be real Bitcoin and not in-game currency. This “problem” has been fixed already apparently and the updated version of the game is already awaiting approval according to a status update published on MandelDuck’s official Facebook page. If you have already downloaded and installed the game on your iPhone or iPad you can continue to play it without any problems and get Bitcoin Tips when you collect enough black Coins. Apple removed the app from sale on the weekend over concerns users would be confused over the use of in game Bitcoins (not real) and actual real Bitcoin. Mainly because there is an in app purchase that lets you buy the in game coins, Apple are concerned that users may think they are buying real Bitcoin, fair enough (even though it tells them they aren’t). I have had to fix this issue and the updated app is currently waiting for review and should be live in the app store soon.